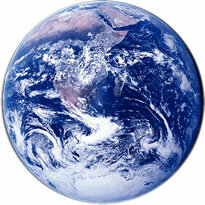 Today is the day that back in the 1970, Earth Day began as a time to put emphasis on environmental issues in our country. Since that time, we have gone back and forth with the rhetoric of hyperbole swinging the pendulum of public and private focus on and then from some of those same environmental issues. I remember the gas lines of the late 70’s and see, like you do, the rise in prices of both fuel and food. We look around at this particular time in our nations history and a call is going out for change. Real true change does not come from a candidate or from Washington. Many times in our history the hands of the President were tied and it was the actions of citizens that began the pendulum to swing in the opposite direction. President Johnson’s hands were tied after he had used up his political capital in civil rights, it was Citizen King who went to the streets with sanitation workers and who moved public opinion. Today is no different. Any one of us who is willing to do what we believe in and move verbage to action can achieve a movement in the very beliefs of our neighbors. This entry was posted on April 22, 2008 at 2:59 am and is filed under Cultural Ideas. You can subscribe via RSS 2.0 feed to this post's comments. You can comment below, or link to this permanent URL from your own site.